My Springs are designed and made with competitive shooting in mind. They are tested by lot to -20 degrees F for cold weather use without the worry of breakage. Part of the design process was duty cycling of 20,000 cycles after they were held fully compressed. These springs will offer years of service with no reduction in force. They have a measure 10% increased force through the entire hammer arc. They are suitable for building a short stroke lock. They also provide a 20% faster hammer time in a standard configuration. Currently I offer main springs for both Springfield and Zouave locks. Some fitting is required. 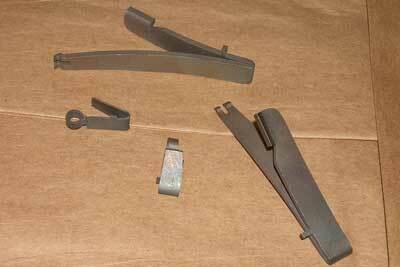 The sear spring can be used in the Springfield and Zouave locks. Fitting is required, and they are bendable to adjust trigger pull. These springs are Made in the USA, and offered exclusively by Charlie Hahn.